Hello from sunny North Yorkshire! Surprisingly this year, the holiday cottage we're staying in has wifi (kind of) so I have some limited internet access (you poor people who thought you'd got rid of me for a week!). First the first time ever (encouraged by my better half) some modelling projects came with us so I wouldn't be too bored in the mornings while I'm waiting for someone else to wake up! The new portable bench is a modified tray for Dunelm Mill. I've simply removed part of the front using a jigsaw and placed an A4 cutting mat in it. Obviously I'm limited to what can be taken with me so etched kits are out. 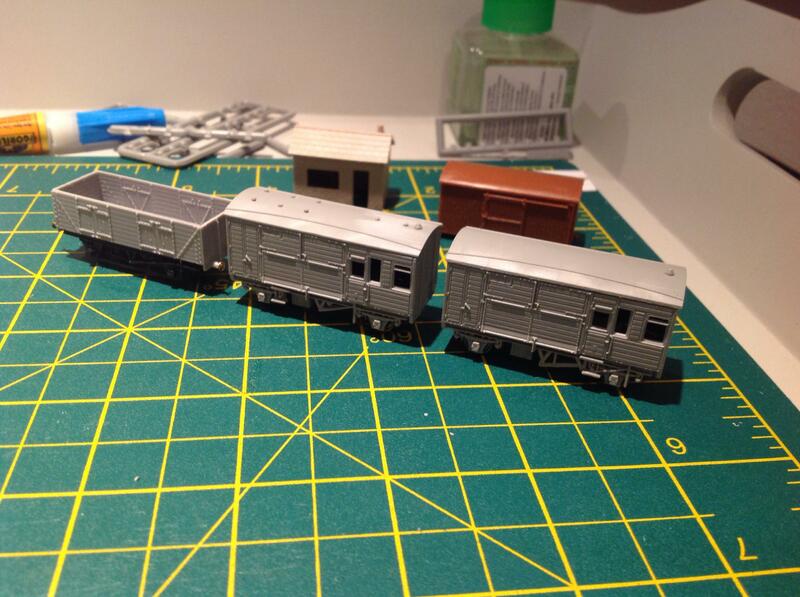 However I've made up an old Parkwood van kit and a Chivers LNER horsebox. The horsebox should have some white metal buffers but I managed to brake one while trying to straighten it out. I'm sure I've got something suitable to replace them with but that'll have to wait until I get home next week. Great idea. We're packing up to move house, and I now wish I'd thought of an interim modelling facility before everything was boxed! I've been meaning to do this for some time and it was only the fact that my girlfriend said that she didn't mind me taking some projects with me while on holiday that finally saw me do this. I was little worried that the remaining sides of the tray would make access difficult but this hasn't been the case at all. I have to say that it has proven very convenient and easy to pack up at the end of a session. I think that I'll be scrapping the big A3 cutting mat at home (which is life expired now anyway) and use this set up for all modelling from now on. I have a second tray to which I'll do the same modifications to to make a soldering station. Being a bit of a tool collector and hoarder, it has been great to be building some kits using only the most basic of tool kits again. While I'm not likely to get rid of any tools, I think that I need to find some permanent storage for most of them so they're not cluttering up the work area all the time! 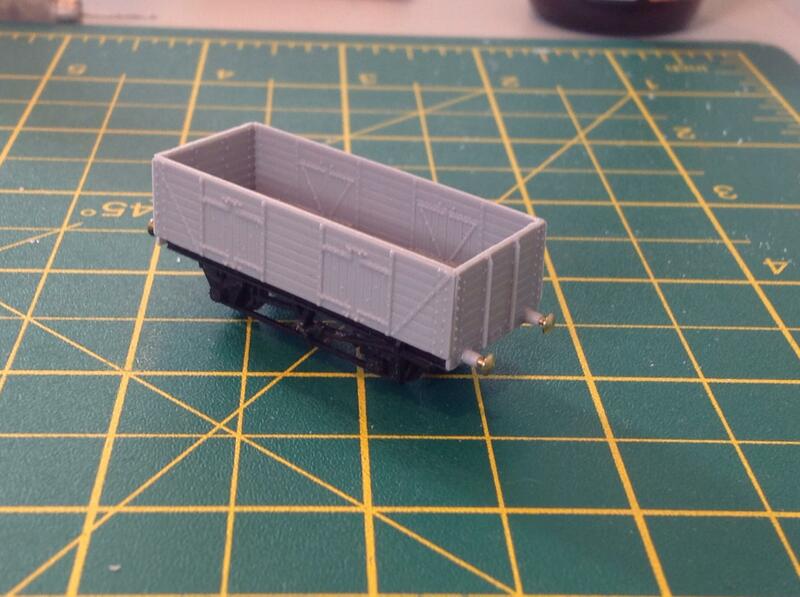 I got a Parkside loco coal wagon kit build and made a start of the second Chivers horsebox. The same collection to kits I built while in Yorkshire. The second horsebox still needs it's roof ventilators and all the vans need their roofs securing once painted but I'm quite happy with the progress made - more importantly, so is my girlfriend!!! D'oh, I've just noticed that I've fitted the under frame the wrong way round on the first horsebox! Hopefully I'll be able to do something about that later!!! Hopefully there will be a few goodies from the 2mm association waiting for me when I get back to sunny Hertfordshire tonight - including some plastic bodies for the very common LNER six plank wagon (over 20,000 fitted and unfitted examples built) - why did Farish produce the 1940s steel version instead??? Thanks Paul. I'm not sure I'm a guru. However as a early riser, it kept me occupied while I was waiting for the better half to wake up!!! I think those kits represent around five or six hours worth of modelling time over seven days so not a huge amount of the holiday was dedicated to them. 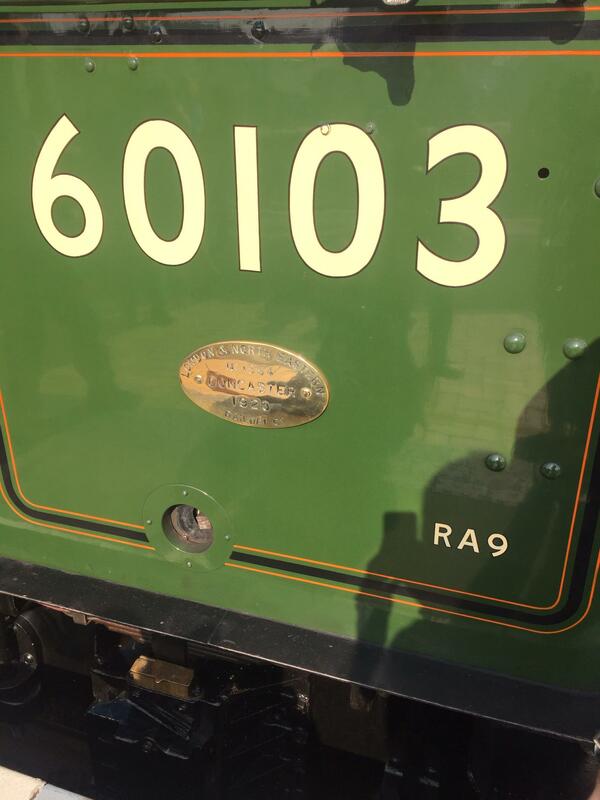 It's at Didcot over this bank holiday weekend and the better half has said that we can go and see it again! This is what I was hoping to take with me to get on with. These are a mix of 2mm Association and Peco plastic kits. There are several PO wagons both of the Peco and 2mm variety as well as some LNER six and eight plank wagons and two Peco plate wagons. The plate wagons are very close to the type that the LNER built in the 30's but the chassis is nothing like the type they actually rode on! Not in picture are some etched wagon chassis for the plates and some correct LNER fitted types to upgrade some old Farish vans I've picked up over the years at modest prices. 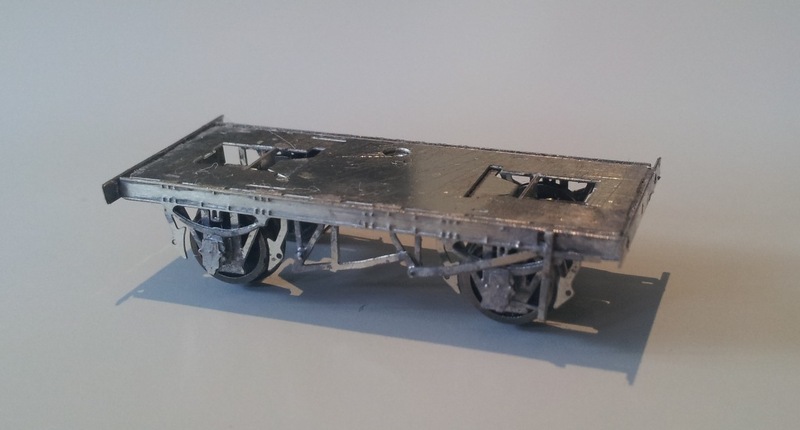 I've also got some Peco 9' wheelbase chassis left which will be suitable for the POs and unfitted LNER six plank wagons (some 20k + of which were were built). I'm looking forward to squeezing these in around other projects but I've also got a few things for other people to clear as well. This morning's efforts with a couple of PO wagons. 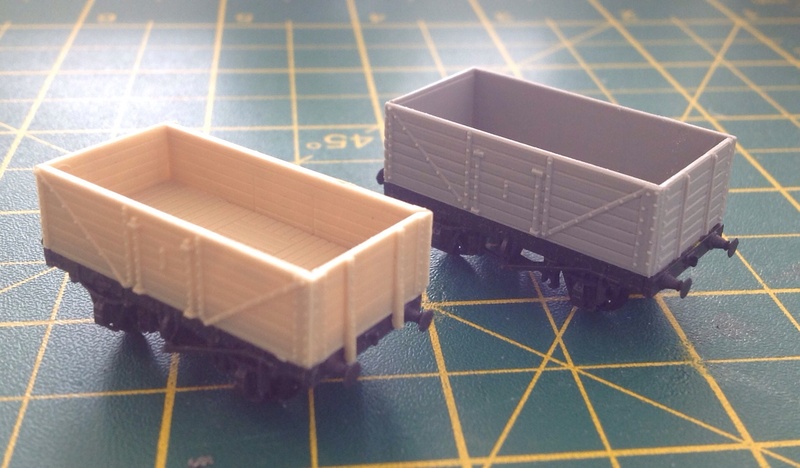 The front one is the Peco 9' wheelbase PO wagon kit while the back one is the 2mm Association's version. Both are mounted on Peco 9' wooden sole at chassis which is, unsurprisingly, a fraction too long for the 2mm scale wagon. 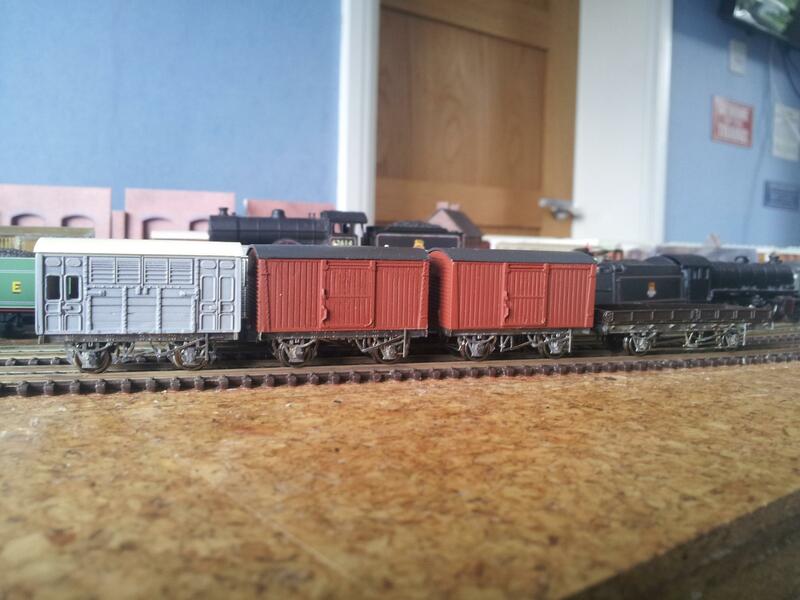 Both will form part of a loaded coal train so I'm not bothered by the lack of internal detail on the 2mm scale body. 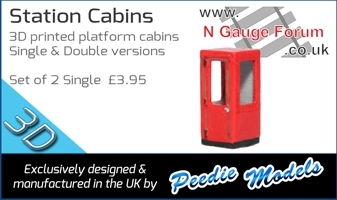 The Peco kit is slightly easier to assemble, having chamfered corners and/or locating points but at £6.95 is more expensive than buying the 2mm kit (£1.50) and Peco chassis (c. £4). Either way these are cheaper than buying the current Farish offerings at RRP! I've got another Peco and five 2mm POs to build (and a couple of eight planks POs) and the slight differences between the two will be satisfying to see when the are complete and running in a rake. You may have noticed that none of these wagons have couplings at present. I was very impressed with the use of DG couplings on the Horsted Keynes layout at the Great Central event a couple of months back and am lending towards using these. Most of them still need chassis, the Peco plate wagons are just for show at the moment and the horsebox has had its chassis removed and reattached the right way around! I've still got two to build, however they both have an incorrect part (some of the parts had been separated from the spur at the shop and then been packaged into kits). 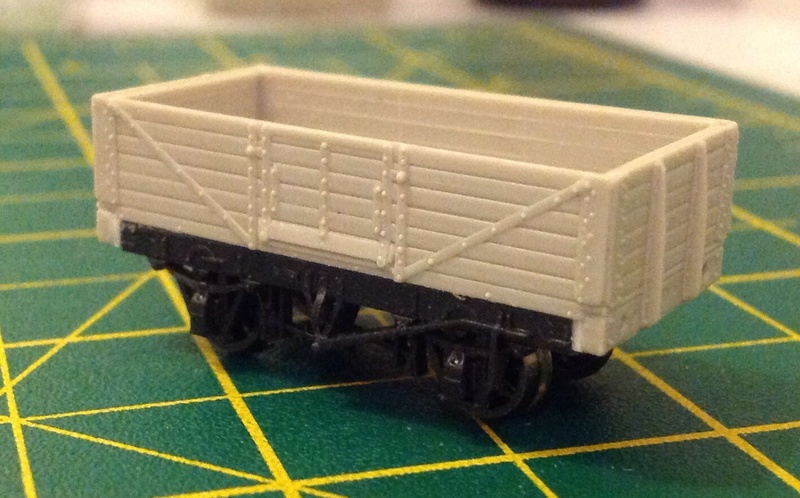 A 2mm Scale Association replacement chassis for the Peco offering to get something that resembles and LNER plate wagon. Also, while I've not touched this for a few weeks, it has not been shown here before. The second of my GNR brake vans which is being turned into a representation of a six wheel brake using 2mm Association 'W' irons and a spare sole bar etch. I say representation as, while the overall dimensions are about right, all the prototype pictures I've seen show the six wheel vans with horizontal planking not vertical. Still, I think it'll look the part once finished and provide something a little different from the four wheel one I've already built. Interesting - I've got one of these unfinished - albeit with the Peco chassis modified to backdate it. The etched chassis was a bit of a faff to be honest but only because of all the brackets along the solebar. These are fold out pieces but have to be at a perfect right angle to be able to fit the overlays - which took forever on this one! Personally I think it was worth the effort and have another one to build. Now if I could only get my hands on the NGS kit for the LMS bogie trestle wagon as it looks virtually identical to a photograph of the LNER version I've found - the caption even makes reference to the similarities. A couple of hours between other things saw this assembled. A comparison between a new Farish van (left) the old one with original chassis (right) and the old body with etched chassis (centre). I would rate myself as being only a little above a novice myself. 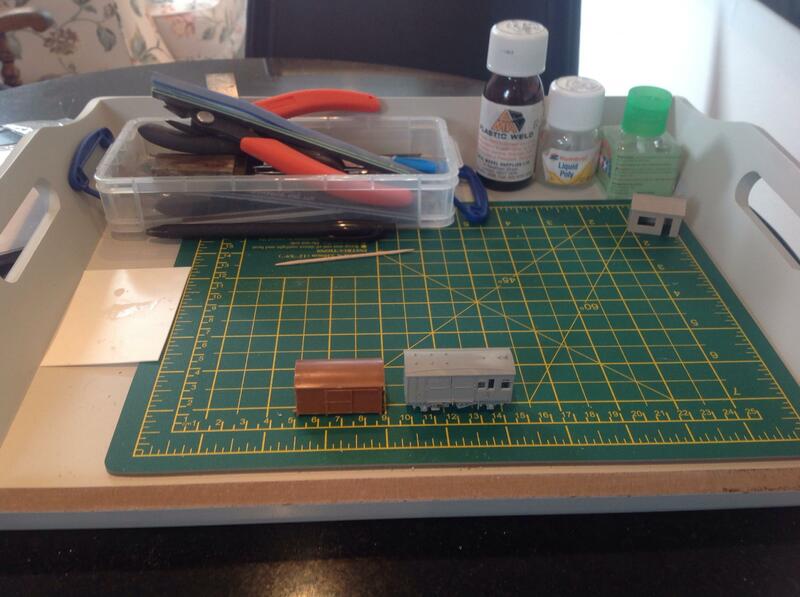 I started with the 2mm Association starter pack which gives you a length of track and a wagon kit to practice on. My one when together ok but I needed to learn how to solder properly and other things like why a good liquid flux and solder paste is important. I've not progressed onto things like boilers or parts with multiple curves yet but it really doesn't take long to progress onto a wagon body or chassis - especially if the kit is well designed. The results do take longer than a plastic kit but I do like the results. Have a go, like most things, it isn't as difficult as it looks. One tip though, get a cheap set of tapered broaches as you'll need to open out the holes for the bearings and a round file just won't do it. Just a quick update about the growing collection of etched chassis on my bench. The total is now four and I've gone a little further on the 10' wheelbase versions by adding the brake pull rods underneath the chassis. You probably can't see them but they're not too difficult to do and really strengthen up the brake blocks so they'll pretty much withstand any knocks. I've also chemically blackened them using Carr's blackener for nickel silver (which also works on brass! ).